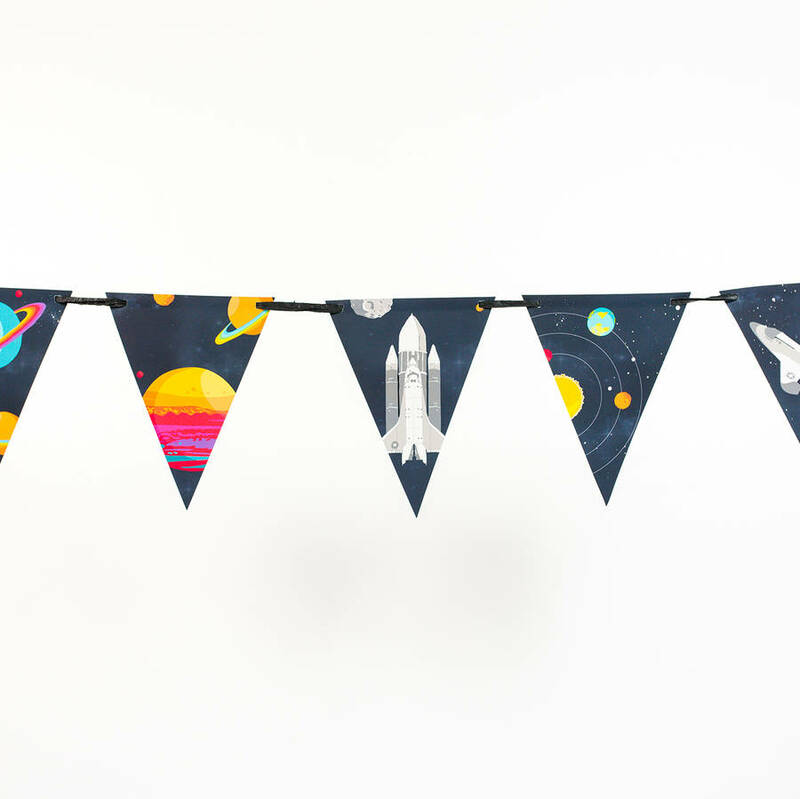 Orbit the solar system with our space theme bunting! 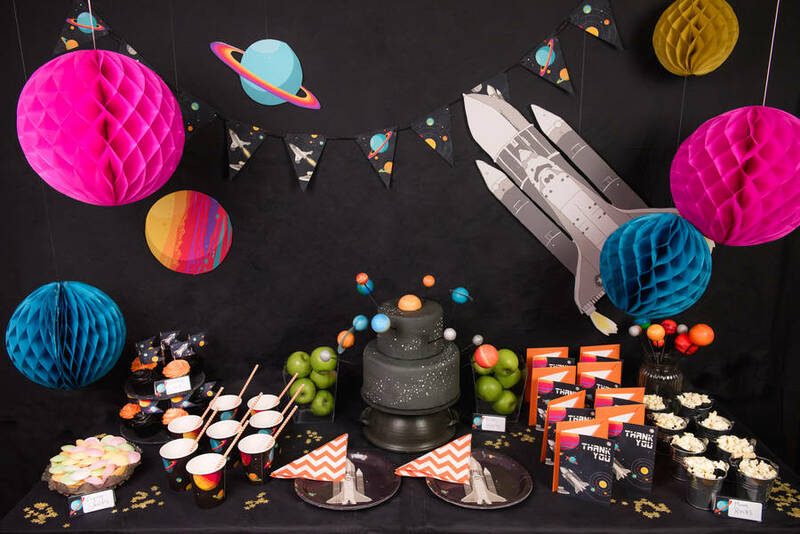 Take a journey round the solar system, thousands of lights years from home and star gazing as you go for a truly supersonic celebration. 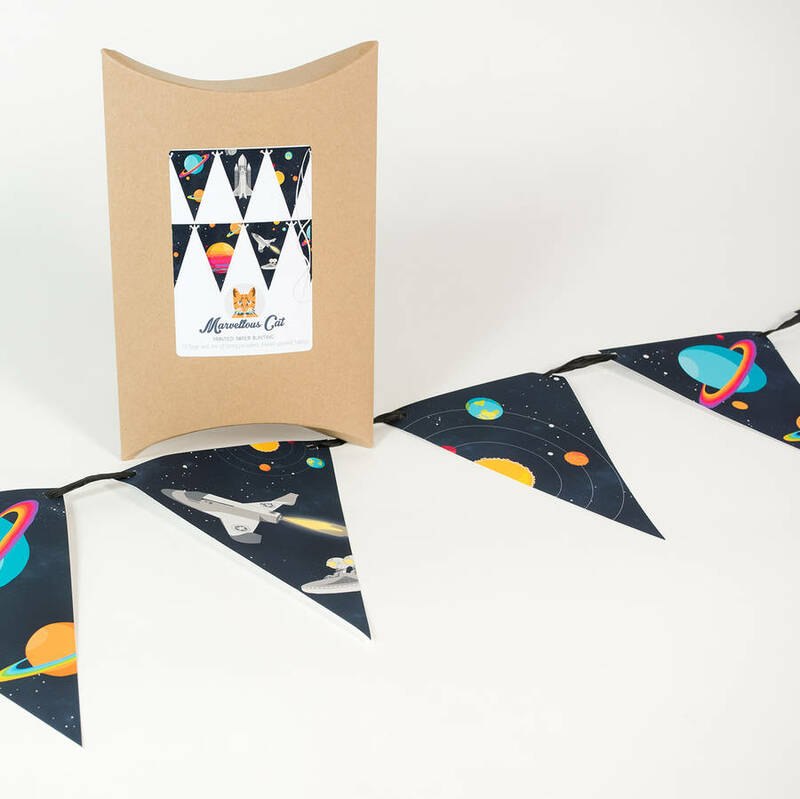 Our space party paper bunting is the perfect accompaniment for any party in the stars! 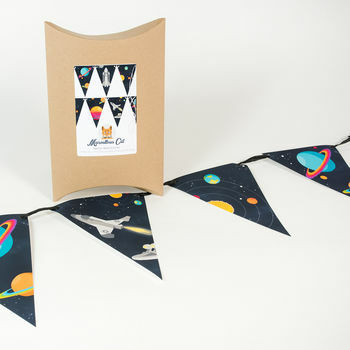 Each box contains 12 space theme paper flags and 3m of thread. 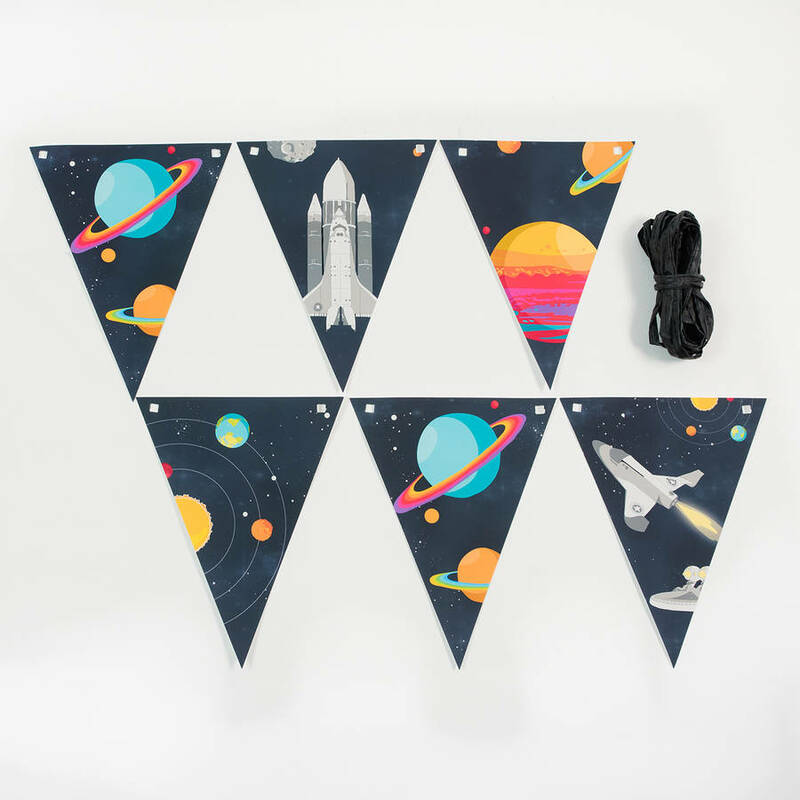 Looking for the complete theme? 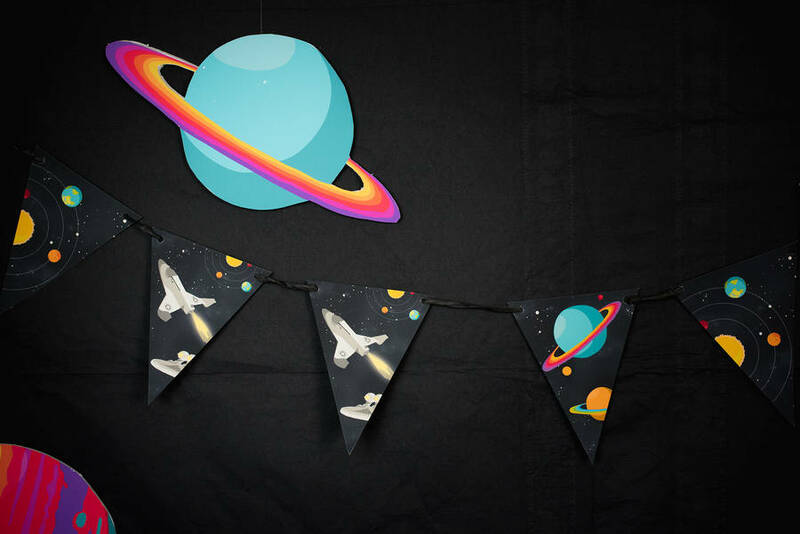 This bunting is part of our Space party range, also available in our complete party box. Illustrated and designed by Marvellous Cat.© 2017 Marvellous Cat Ltd. All rights reserved. This product is dispatched to you by Marvellous Cat.